We love Madame Fancy Pants’ rewards! 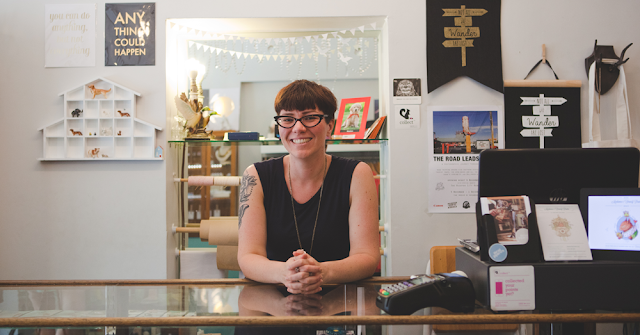 Madame Fancy Pants is a brick-and-mortar store, in Wellington, New Zealand, and is also the name of the made-in-store jewellery label, by owner and designer Claire Terry. If you love gorgeous, trinkety, limited edition, goodies, Madam Fancy Pants is the perfect place to find clothing, jewellery, stationary and other lovely goodies. From day one, they started with really enticing rewards. Claire obviously has a talent for creativity, with amazing rewards that ooze encouragement for loyalty! What customer wouldn’t want to save up 2000 points for a Jewelry making night with three friends, with MFP designer, Claire. We love this reward, because not only does it get Madame Fancy Pant’s top customers bringing their friends in, and introducing new/likeminded people to the store, it gives Claire the opportunity to build an even stronger relationship with her top customers. She actually gets to sit down with them and create something special together, strengthening their loyalty even further. We have a range of products at varying prices, so we wanted a range of rewards for the different levels of points, to make unlocking a little reward achievable for all our loyal customers. When choosing our rewards, we think about what they would want, so they work towards it. We use our popular products that everyone loves, so we have something for everyone. And for those who can’t choose, we have a $50 voucher option as well. For our really loyal customers, we set really, really exclusive rewards, as a thank you. We love offering them something special, that’s custom made and has a personal touch, like our Custom Stamped MFP Necklace. Be innovative! It’s your customer base right there. You want to make the most of the direct contact with your customers! Look after them, and say thank you! If customers are coming back, it means they like what you are doing and your rewards must be working!